Located from the 18 – 22th floor, the cosmopolitan 77 sqm. G Suite features a spacious “white loft style” living room and a separate bedroom. Host your own hen’s night party (please contact us for more information) with an exclusive in-room Bartender at your service while enjoy the breathtaking views over Bangkok skyline through the floor-to-ceiling windows. 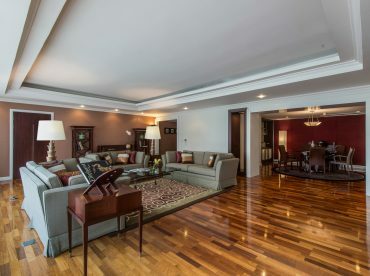 This suite is also accompanied with a host of benefits including access to the Executive Club Lounge, complimentary breakfast, evening cocktails and High-speed Internet Access (WiFi).